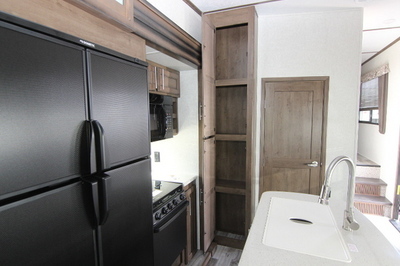 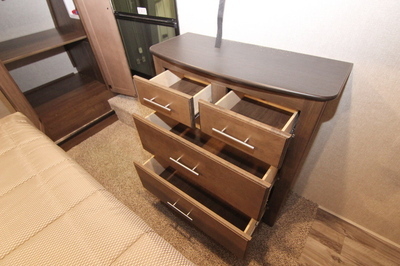 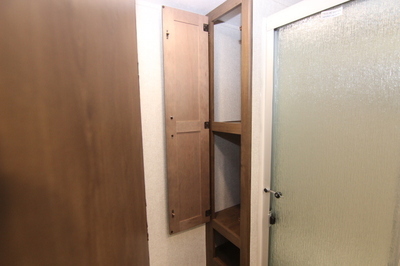 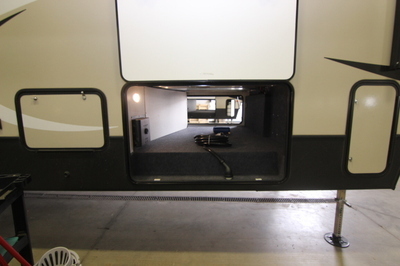 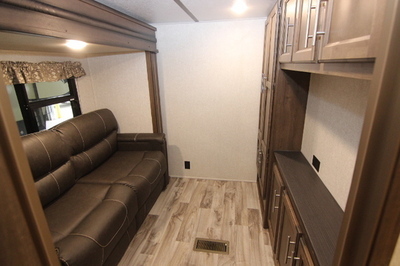 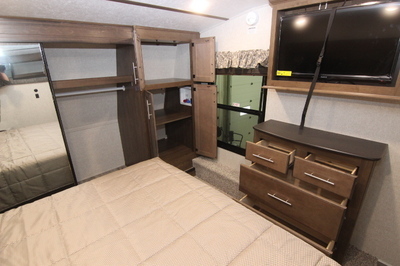 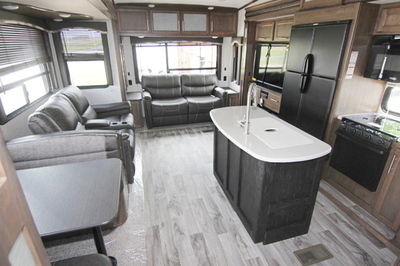 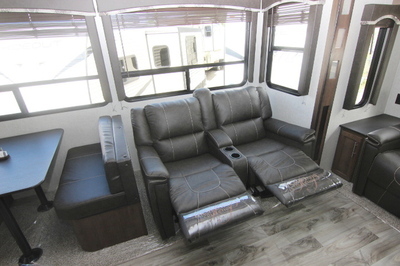 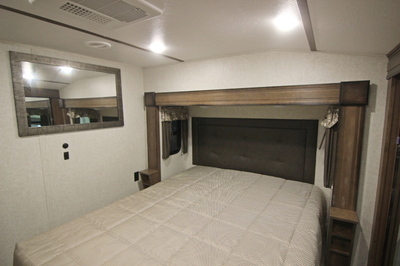 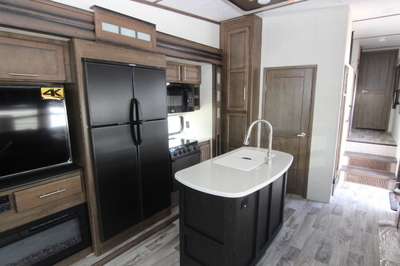 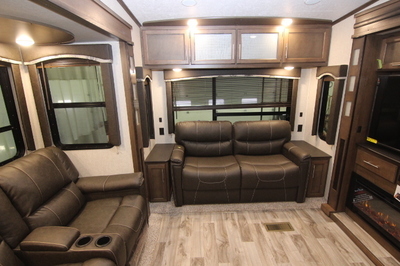 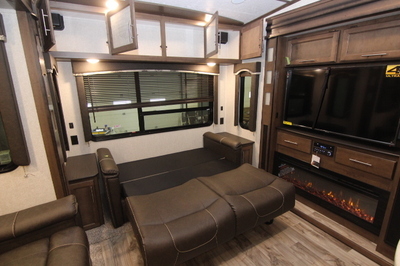 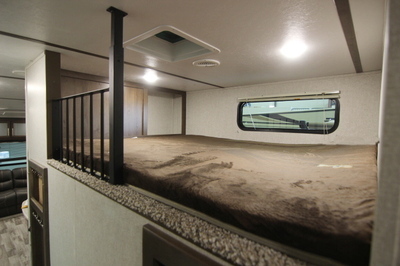 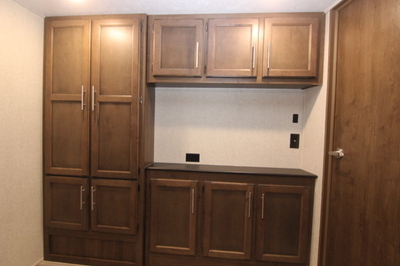 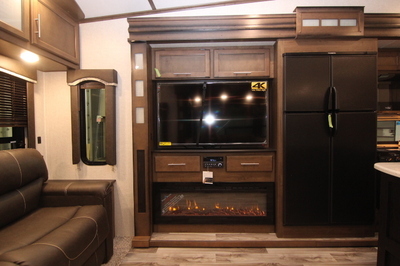 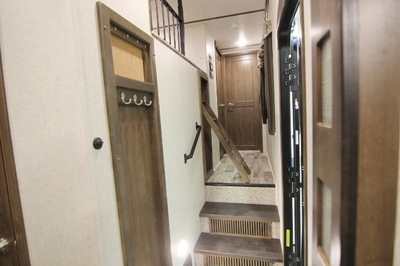 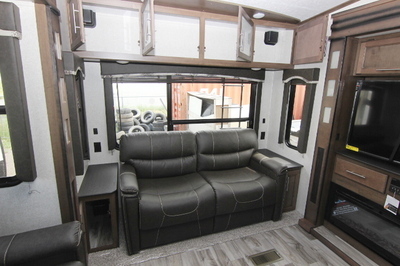 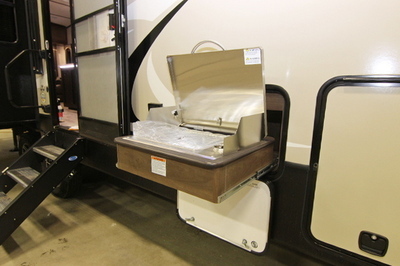 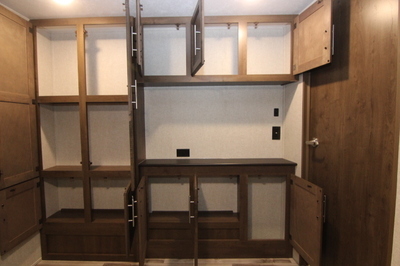 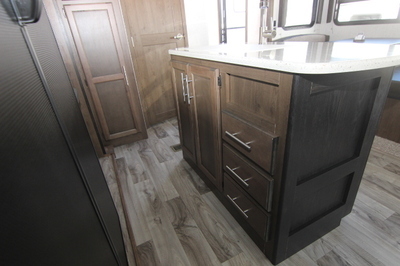 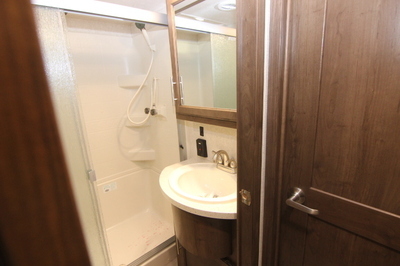 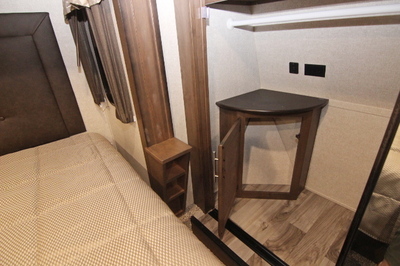 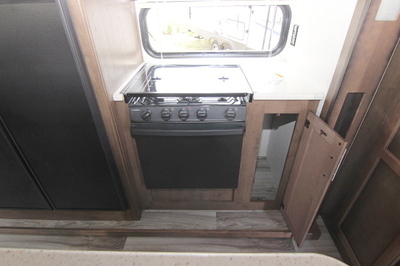 Packages and Upgrades Included with this Unit:- Booth Dinette, Camping in Style Package, Anniversary Package, Comfort Package, Deluxe Entertainment/Tech Package, Polar Package Plus, Electric 4 Point Leveling System, iN Command Pro w/Global Connect, 2nd Power Awning, 2nd 13.5 BTU Ducted Air Conditioner. 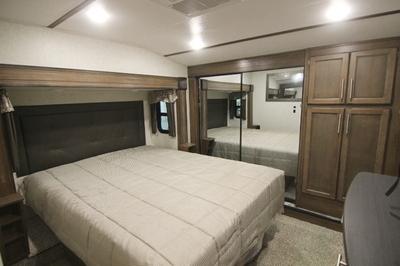 Camping In Style Package:- Champagne Laminated Side Walls With 5 Sided Aluminum Superstructure, 3/8” Walkable Roof Decking, Fiberglass Front Cap W/ Hitch Vision & Led Lights, Full Size Spare Tire, Cougar Vintage Maple Glazed Hardwood, Cabinet Doors With Residential Hardware, 12,000 BTU Rapid Recovery 6 Gallon Gas/Electric Water Heater,Aluminum Wheels, Battery Disconnect Switch, LED Interior and Exterior Lighting,Easy Care Aluma-Tread Triple Entry Step, Friction Hinge Entry Door. 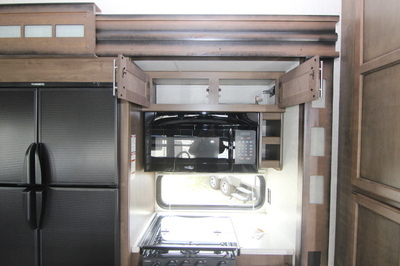 Cougar Anniversary Package:- 12 Cubic Ft. Refrigerator, 1.6 Cubic Ft. Microwave Upgrade, Washer/Dryer Prep, 21”Drop In Range W/ Piezo Ignition And Glass Stove Top Cover, LG Solid Surface Counter Top Upgrade, Gourmet Stainless Steel Undermount Sink With Upgraded Chef’s Faucet with Sprayer, Folding Exterior Bike/Storage Rack with 225lb Capacity, Upgraded Road Armour Suspension Kit. 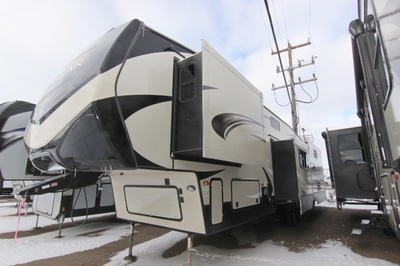 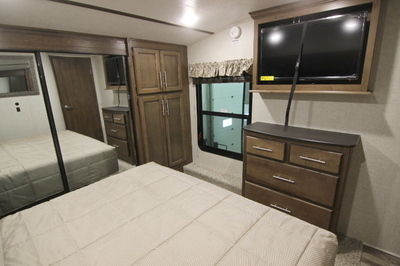 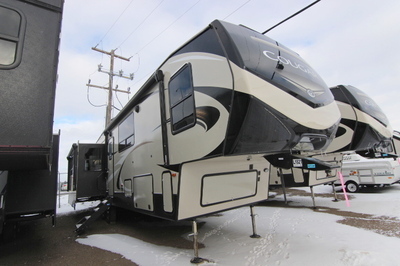 Cougar Comfort Package:- 15,000 BTU Ducted Air Conditioner, 50 Amp Services, Pre-Wired And Braced For Ducted Bedroom Air Conditioner Option, 35k BTU Ducted Furnace, Dual 30lb LP Tanks ,1000 CFM 4 Speed Maxx Air Exhaust Fan With Rain Sensor And Wall Mounted Controls. 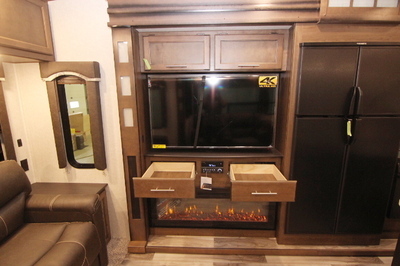 Deluxe Entertainment/Technology Package:- 50” Led High Definition TV In Living Room, 32” Led High Definition TV In Bedroom, 12 Volt AM/FM/DVD/MP3/Bluetooth Player W/HDMI ARC Control, Worry Free Omni Directional Digital TV Antenna With Booster, Exterior TV Hookup With TV Bracket, 48” Real Feel 5500 BTU Electric Fireplace With Thermostat Control and Remote, Furrion Backup/Observation Camera Prep, Furrion Portable Solar Panel Prep, 12 Volt USB Charging Centre, Cougar Quick Camp Multifunction Remote. 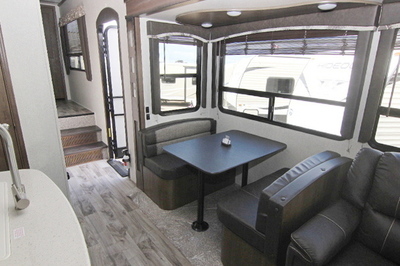 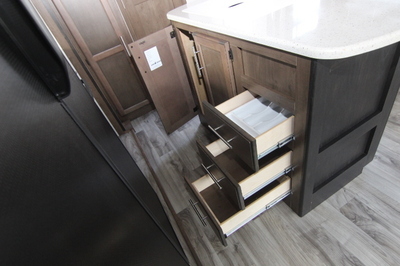 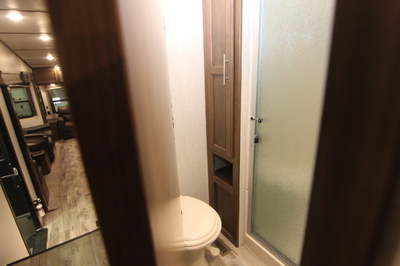 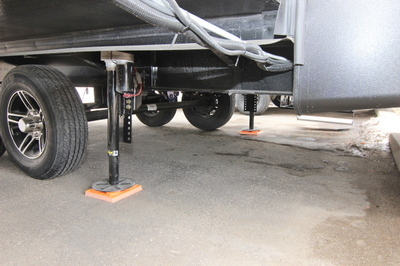 Polar Package Plus:- Forced-Air Heated And Enclosed Underbelly, Astrofoil Insulated Slide Floors, Astrofoil Insulated Underbelly, Enclosed Dump Valves.